Greetings from Okinawa, the home of karate and kobudo. 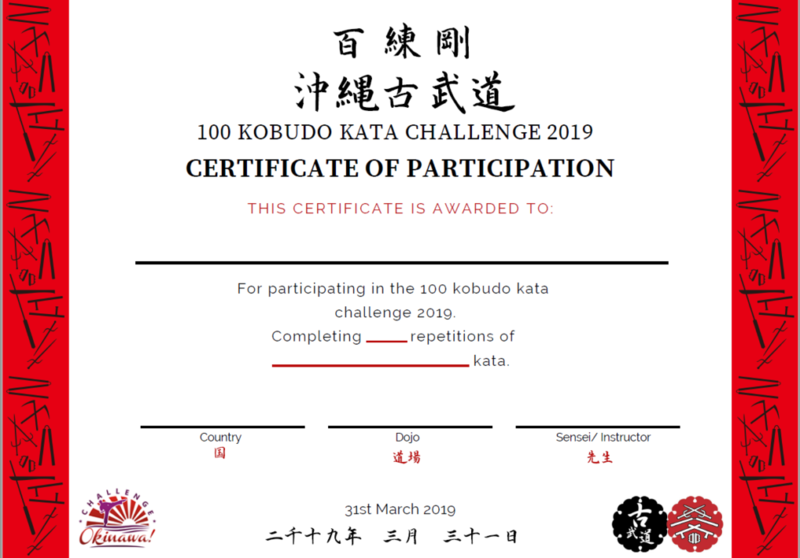 Please use the link below to download this year’s free Participation Certificate for the 100 Kobudo Kata Challenge event. Dojo owners and teachers – please feel free to use this template to award participation certificates to your group. We ask that this free template is used not-for-profit in the spirit of this free participatory event. This is a PDF document so you will need a PDF Reader application to open, view and print it. This apps are freely available on the web. 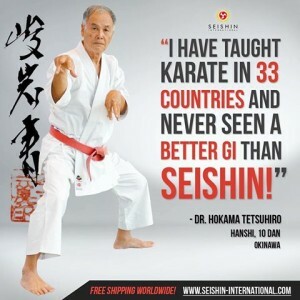 Would you like to experience living and training in Okinawa – the birthplace of Karate? We are accepting NEW APPLICATIONS NOW for the next Karate Nerd program in Okinawa to commence 2H 2018/early 2019. Click the link below to apply. OKNP is once-in-a-lifetime opportunity for young Karate Nerds between the ages of 18-35 to fly to Okinawa and live there for 6-12 months and experience the Way of Karate at its source. This programme is the result of an exclusive collaboration between Jesse Enkamp, chief karate nerd at KARATEbyJesse.com, and James Pankiewicz, founder of The DOJO Bar and Challenge Okinawa, together with Seishin International as proud sponsor. If you are a young Karate Nerd who dreams of discovering the essence of Karate (…and yourself) – keep reading. – 6 or 12 months living in Okinawa – the birthplace of Karate. – Daily training with traditional Karate masters and living legends. – Hands on involvement behind the scenes in Okinawan seminars and events. – Assistance in working part time in local businesses and assisting at Challenge Okinawa (The 100 Kata Event, international seminars etc). – Access to unique Okinawan cultural activities such as working in a awamori factory or with a master sanshin maker, exploring Okinawa’s mountain trails, or coastline on kayak, exploring Okinawa’s castles and caves, learn to cook traditional food etc. The Karate Nerds in Okinawa! – Pre-trip advice on visa application (applicant must apply themselves) and general preparation help. – Airport pick up, good value accommodation (applicant pays) and orientation on Okinawa. – Help with designing personal training programme, introductions to local teachers and access to other Karate resources. – Help with finding part time work such as at The DOJO Bar, Asato Dojo or other local businesses, and/or as assistant in local Karate events. – Introduction to cultural and learning opportunities such as Japanese lessons, calligraphy lessons, cooking classes etc. – Special excursions and trips around Okinawa and nearby islands to discover unique locations and people. – Any assistance required with other necessary services such as travel, local government, medical etc. Sounds amazing, right? Click here to get access to the application form.